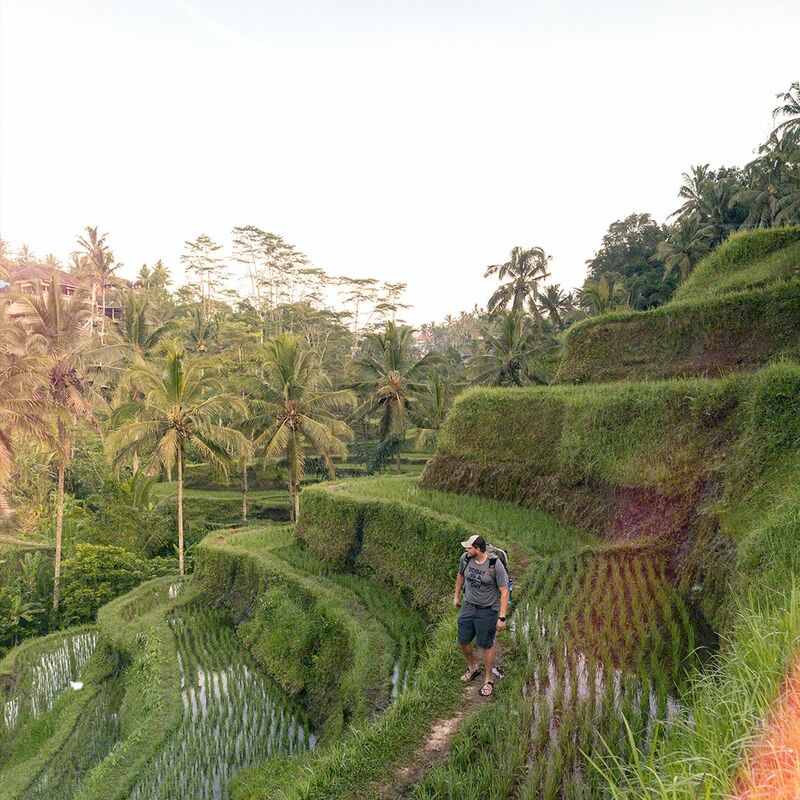 We chatted with travel influencer and photographer, Andy Austin (@andyaustinphoto) about his recent trip to the breathtaking island of Bali, and why keeping an open mind is the key to an authentic, life-changing vacation. Ulun Danu Temple in Northern Bali: My new friend, Hadi the taxi driver, and myself had the entire temple almost completely to ourselves for more than an hour as only a few locals wandered around to pray. Hi, Andy! 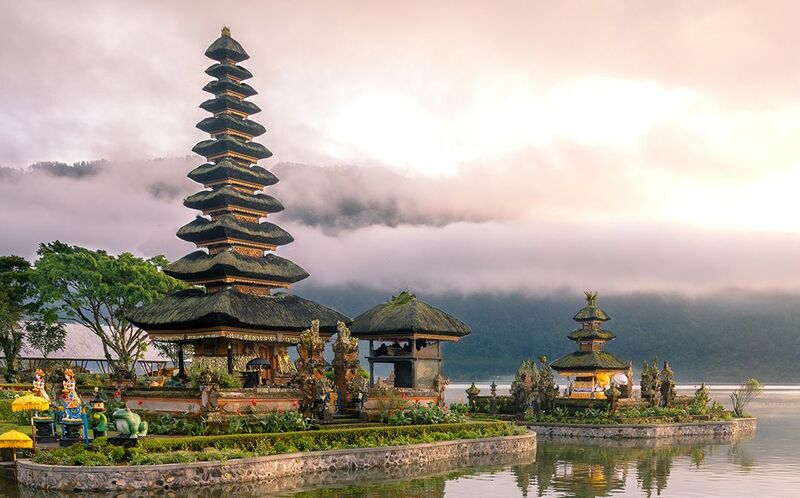 What inspired your trip to Bali? Last year, I got my first taste of Indonesia when I sailed for two weeks from Bali to Komodo. I fell in love with the good vibes in Bali despite only having been there for a couple days, but I told myself I’d be back for an extended trip. How long you were there for? I spent three weeks on the island of Bali before hopping around between Australia, Indonesia, and the Philippines for the next three weeks. That sounds incredible. What did you do there? I spent my first week teaching a workshop on photography and branding. Then I went to Ubud, the cultural capital of Bali, for a week before moving to the coast in the surfer’s paradise of Canggu. The trip encompassed everything from rafting, climbing volcanos, exploring rice terraces, to the beautiful Hindu temples and more. Why is it important to have an optimistic outlook when you travel? Travel never quite goes to plan. Things happen! Taking an optimistic approach assures me that missteps don’t ruin a trip, but adds to the story. Tegalang Rice Terraces: The rice terraces of Ubud have risen in popularity the last few years. For almost an hour I wandered around these beautiful terraces alone, listening to the many beautiful birds and insects that inhabit the area. What were some lessons you learned from this trip? I discovered how happy I am going with the flow and taking my time in a new destination. 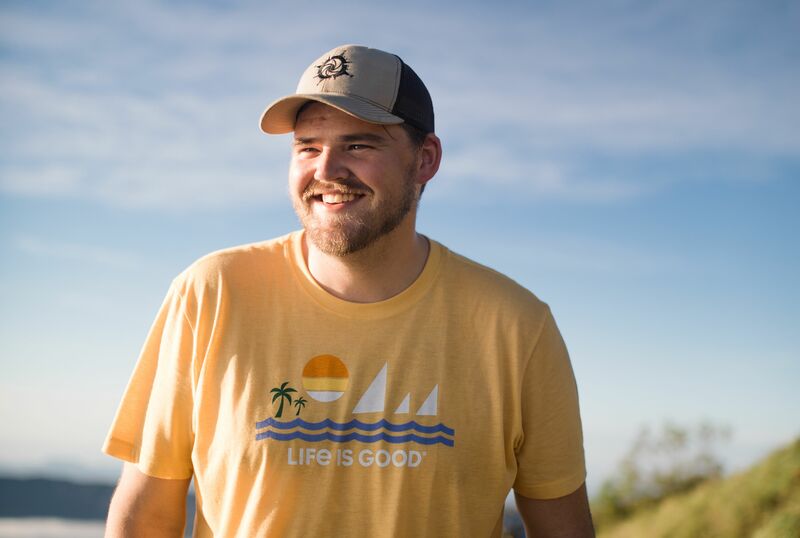 I debated doing a whirlwind trip of southeast Asia by exploring as many different cultures as possible from Thailand to Vietnam to Cambodia and more. But in the end, I fully immersed myself in Bali by staying for three weeks. Soaking in the slow pace of life that Bali’s famous for was worth it. What advice can you’d give to someone who’s been thinking of going to Bali? Take your time! But don’t let the small size fool you. For a small island, Bali has endless spots for adventure around every turn. Ubud is in the center of the island and is home to countless waterfalls, volcanoes, rice terraces, and jungle forests. 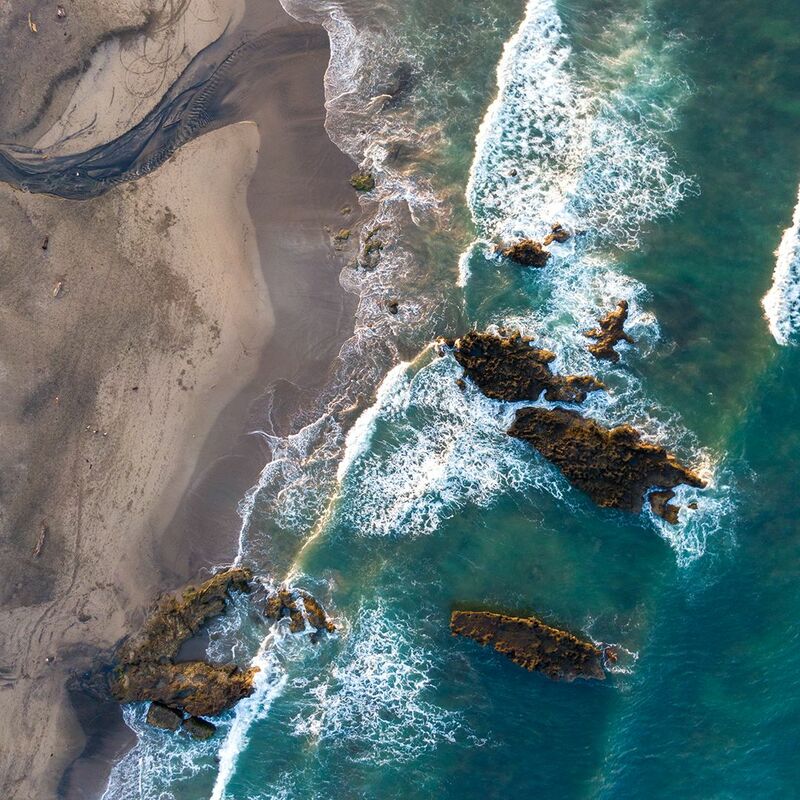 The west coast is where surfing originated, and the east coast is home to divers from around the world. Bali is not a place to be rushed! Bolong Beach, Canggu from a drone: One sunrise I made the quick walk to Bolong Beach in Canggu to photograph the coast at sunrise. Even at 6am it was amazing to see how many surfers were already out catching morning waves before work. Travel is the great equalizer and can forever change our lives. Everything about travel encompasses all of the Life is Good Superpowers. Courage is needed to step outside of our comfort zones and to experience a culture far different from our own. Openness to embrace these cultures in an unbiased outlook, that will lead to authentic travel experiences. These experiences have increased my ability for compassion and love for not only the people in my life, but for strangers around the world. Yeh Woo Waterfull: On the day trip in Northern Bali I wanted to visit Jatiluwih Rice Terraces, and my driver suggested we check out this lesser known waterfall. I couldn't resist going for a refreshing swim to wash of the day's sweat. Any other thoughts or musings on the importance & power of travel? Every destination leaves its imprint on my soul. I am not remotely the same person I was five years ago after college. And I have travel to thank for that. Got any travel tips or want to share your travel experiences? Tell us #SOMETHINGGOOD here. Adventure authentically with the people who know it best. Book with Life is Good Vacations by Austin Adventures.